I remember when i was taking this wedding photo during the wedding day of Joanna and Tom, at one of the private villa in Canggu area. It’s a really simple but beautiful wedding ceremony, just the two of them (with the priest of course), no guest, very relax and intimate weddings. Some people called this is an elopement wedding style. 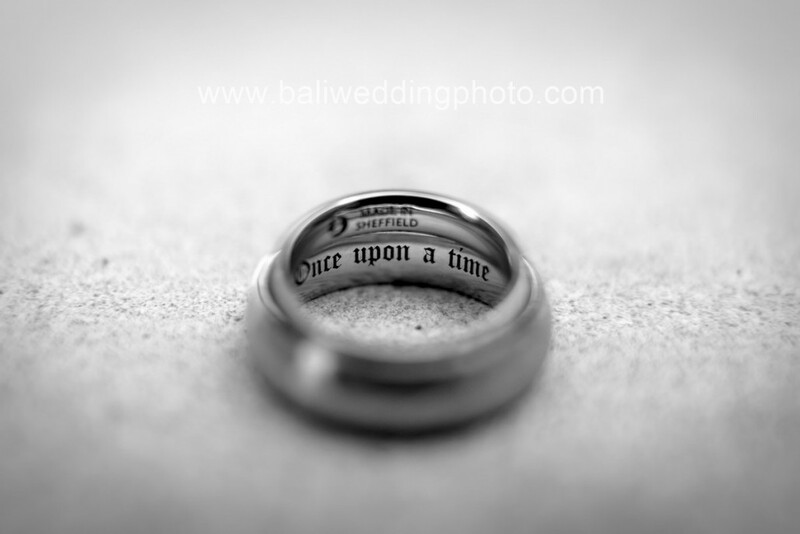 The bride said to me that the ring is hand made by a famous wedding ring maker in Sheffield, UK. I think that’s cool… a hand made is unique, because you can’t make the exact same thing twice with your hand, a factory can. See more wedding preparation photos at our photo gallery, also see available packages for wedding day photography and wedding day videography. Do not hesitate to contact us should you need more information about booking, terms and conditions, photo book, and other questions that you have in mind.